RAAF Base Pearce will be one of three RAAF bases around Australia to be part of a new program, the Workplace Welfare Dogs Program, which uses dogs to improve the wellbeing of Defence Force members and their families. As part of the Program, which will be initially trialled for six months, the bases will host three dogs that will accompany their Defence Chaplain handlers on pastoral care rounds. 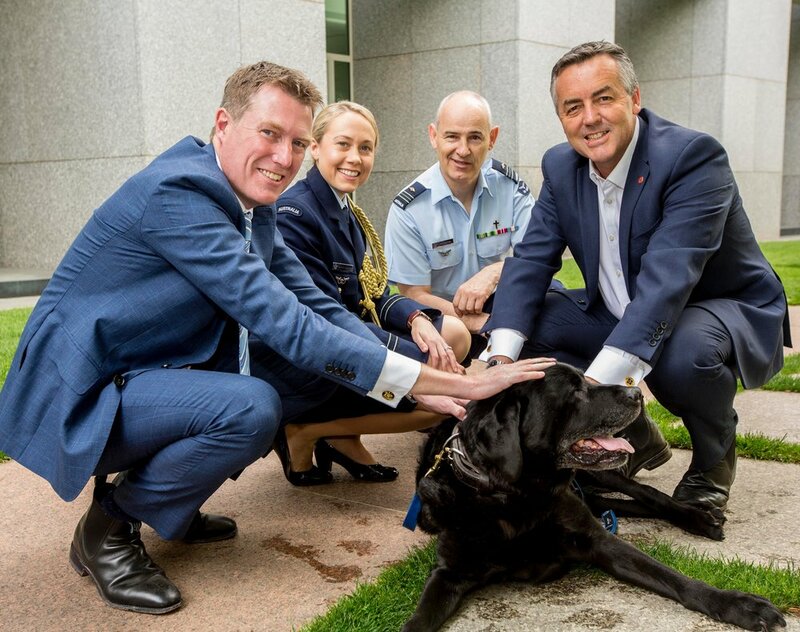 Federal Member for Pearce, Christian Porter, said the intent of the trial was to prove the mateship value of the dogs working with chaplains to build morale and improve the wellbeing of Defence members. “The Workplace Welfare Dogs Program aims to raise morale and general awareness of talking with someone, which is one of the key factors of overall health and wellbeing,” Mr Porter said. “Defence Chaplains provide support to members of the Defence Force and their families on a range of life issues including relationships and deployments, and teaming them up with our tail wagging, four-legged friends will make a great fit. Following an agreement signed by the Chief of Air Force, Air Marshal Leo Davies, and Young Diggers’ Dog Squad (YDDS) Chairman of Directors on 10 August 2018, YDDS will train and provide three rescued dogs and their associated equipment to Air Force. YDDS is a charitable organisation set up and run by ex-serving military members providing a variety of support services and programs to help serving and ex-serving personnel of the Australian Defence Force and their families. The Program will be evaluated following the completion of the trial period and if successful, a wider program will be considered by Defence.